2014 has started off with a bang! Our first day back at school consisted of a full PD Day dedicated to technology. Our keynote speaker, George Couros, provided us with ample information on how to be active digital citizens and educators in our classrooms. Staff were motivated, excited, and ready to take on the new challenges that would arrive. 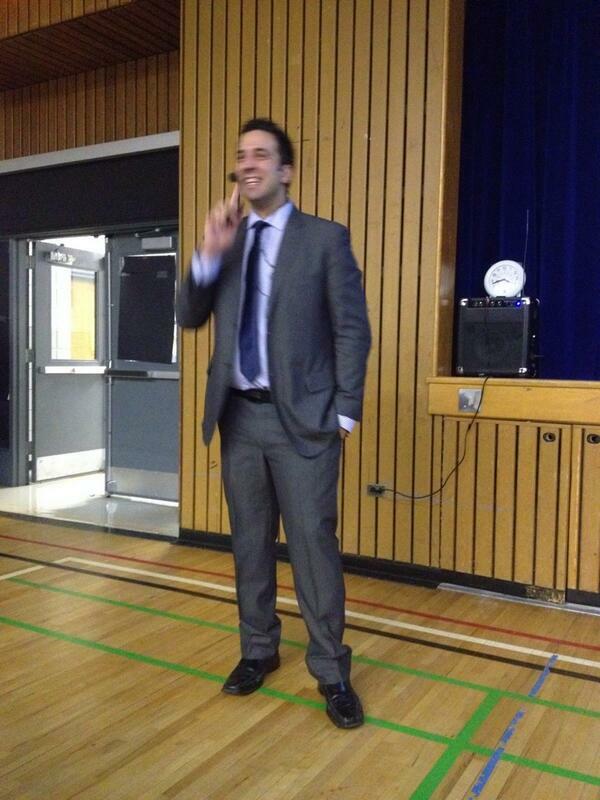 George Couros – superb keynote speaker. One thing that really resonated with me was the comment that George made about creation; that learning is creation, not consumption. If we want our students to be learners and questioners, should we not model that as educators and do the same thing? So this is my goal for 2014: to be a powerful learner, to create and share my ideas, and to model to my students what knowledge is. I thought this would be a great start. Let the adventure begin! 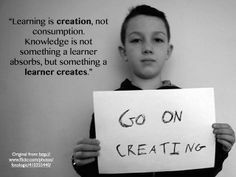 This entry was posted in Career Long Learners, Meaningful Learning Activities and tagged blogging, George Couros, learning is creation by ekpetley. Bookmark the permalink.